Australian tennis legend Todd Woodbridge senses this summer could be the start of something big, with breakthrough years for a pair of young talents in 2018 the forerunner to the most tightly contested John Newcombe Medal race in recent memory. The prestigious medal for Australia's top individual performer for the year will tonight be awarded, with Woodbridge tipping Ashleigh Barty to pip rising men's star Alex de Minaur for the honour. Barty finished with a career-high year-end ranking of 15 and Woodbridge says there's no limit to the 22-year-old's potential, with Grand Slam singles titles and a top five ranking in the offing if she can make a few minor improvements. 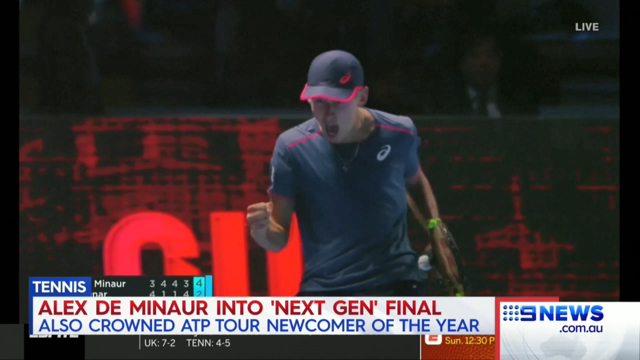 At just 19, de Minaur also has an extremely bright future ahead, while Woodbridge said that in just about any other year surprise US Open giant killer John Millman and the world's number two quad wheelchair player Dylan Alcott would have been pushing hard to win the Newcombe Medal. 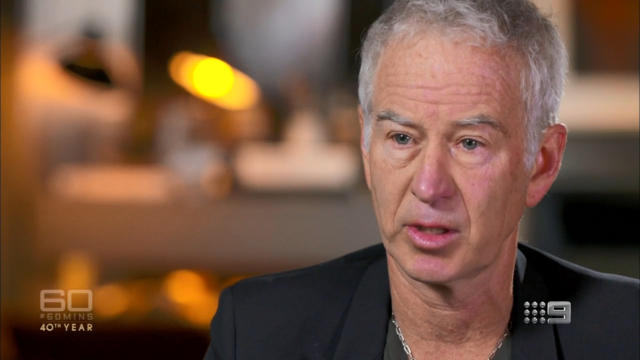 "It's been a great year for Australian tennis," Woodbridge told Wide World of Sports. "It's been the best year in a long time in terms of consistency - we've had a good result just about every couple of weeks, so the Newcombe Medal has got four very strong contenders which is really pleasing." While 2018 was good, Woodbridge is excited about the platform it could set for 2019 and beyond, with Barty positioning herself as a genuine chance of winning a slam if the draw falls her way. "The only top women she hasn't beaten yet are Serena (Williams) and (Simona) Halep," Woodbridge said. "But she's beaten (Angelique) Kerber, the Wimbledon champ, she's beaten (Garbine) Muguruza, who's won Wimbledon and the French, and she won her first grand slam doubles title as well so her level has been impressive. "The mantle of Australia's top women's player has now has been passed over from Sam Stosur to Ash Barty. "I think she can be top five. In terms of skills there was a recent survey put out by the players and it had her in the top five in almost every category. "That's quite exceptional considering her height, she's fairly short compared to other players. "I think she's the most skilled player of this younger generation coming through, without doubt. "The one thing she's going to have to keep focus on is getting big and strong, because of that height difference. On certain days the power some of her opponents have is the only difference between her winning and losing." While de Minaur has for a couple of years been touted as one of the best young players to come onto the tour, Millman's year, capped with a fourth round victory over Roger Federer is Australian tennis' Cindarella story of 2018. Woodbridge sees parallels between the two players in the sense that the foundation of their games are built on hard work, grit and determination. de Minaur has undoubtedly got a very high ceiling but Woodbridge cautioned against expecting too much from him next year. With the element of surprise gone after 12 months of strong results on the tour, Woodbridge said de Minaur should be aiming for nothing better than to hold his position in the rankings and position himself for a push into the top 20 this time next year. "All of the tour has watched him for 12 months and they start to work out a strategy or a game plan to beat him," Woodbridge said. "When you're fresh and new people are still working you out. So to stay in the top 30 is his next goal and then I think for himself to physically keep working on the body because you watch him and he looks young. "You actually watch him on the court and he looks smaller than he is. He's a pretty tall lad but once he starts to fill out and he gets some more weight, some more heaviness on his shots, that's really going to help him. So he's got some big upside as a player to develop and then improve." Woodbridge said it was no surprise that de Minaur had brought plenty of Lleyton Hewitt type qualities to his game after linking up with him as a personal mentor however the ability of Millman to do the same as a veteran who had never reached any great heights prior to this year was even more impressive. "I loved what he said after the Federer match where he said 'I don't play the reputation of the player I just go out there and play what's there on the day'," Woodbridge said. "That's a great thing if you can but it's not easy to do. But if you can do that you've got a real opportunity. If you've got the right attitude and you're willing to do the work this is what's capable on tour." The one disappointment for the Australian tennis public for 2018 was the inability of Nick Kyrgios to go to the next level and establish himself as a week-in, week-out title contender and a bigger threat at the grand slams. Kyrgios established a fearsome reputation when he made quarter finals at Wimbledon in 2014 and backed it up at the Australian Open in 2015 when he was still just a teenager. In the nearly four years since he has been unable to replicate those deep grand slam runs, despite having occasional success against the sport's biggest names, including a win over Roger Federer. After an outstanding start to the season with his first title win on home soil by lifting the trophy in Brisbane, Kyrgios' year fizzled out and his ranking dropped to 35. Woodbridge still rated it as a "good year without being anything exceptional", arguing it gave him an opportunity to have a big 2019 given there won't be many tournaments where he'll have lots of rankings points to defend. "What he has done is put himself into a position to make 2019 a big one," Woodbridge said. "The focus for him has got to be able to get results at the Slams like he did when he made the breakthrough, a couple of quarter finals. "He's probably looking at players like (Alex) Zverev and Karen Khachanov, Stefanos Tsitsipas and even Alex (de Minaur) and thinking 'there's more players here than there was when I made my breakthrough'. "That becomes very important in showing himself how far he can go. We talk about how he's got the ability to win grand slams but that's now really got to put itself in play." 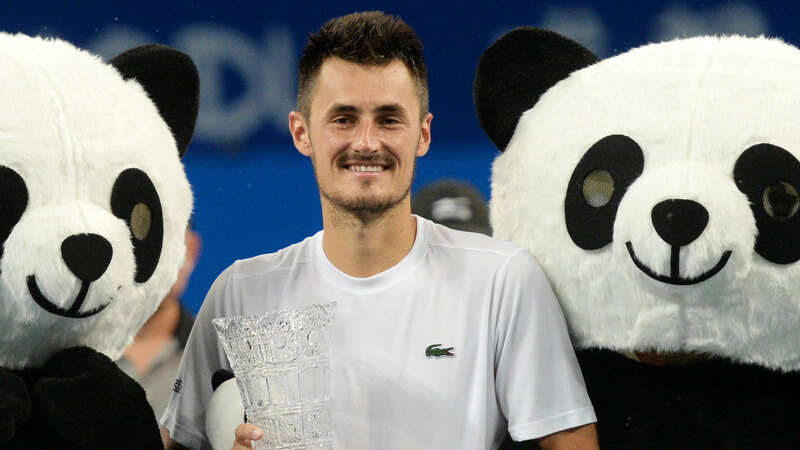 If 2018 was a humbling experience for Kyrgios, for Bernard Tomic it tested his will to get off the canvas, end the pity party and start rebuilding his career from the bottom up by entering Challenger level events. Woodbridge said it was promising to see the one-time 17th ranked player in the world put himself in a position to "learn how to win again". "I think his story's been interesting in that he realised he had to get away and go back to basics and go and play," Woodbridge said. "He'd got away from that clearly and I was pleased to see him get away from everything and get out of the spotlight and just play, he did a good job of that. "Now we'll find out if he can maintain that. Is he going away and practising? Is he training over his summer? We'll all get to see that in a few weeks time once the summer starts. "You get to the point where you have to go back and find out how to win again. "Bernard's been a pretty good winner all through his life, through his junior career. It's not something he's scared of it's just something he had to get used to again."